Recently the BBC published an article and a video about art in Rio, under the title “How has money changed the Brazilian art scene”. Art in Rio has grown enormously in recent years, and galleries are popping up all over the place. 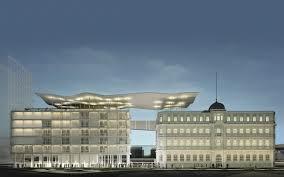 The big new one is of course the Rio Art Museum or MAR – recently inaugurated down by Praça Mauá. It is no longer necessary to go to Santa Teresa to find the artists. Muito legal! E esse museu ficou lindo! Abraços!